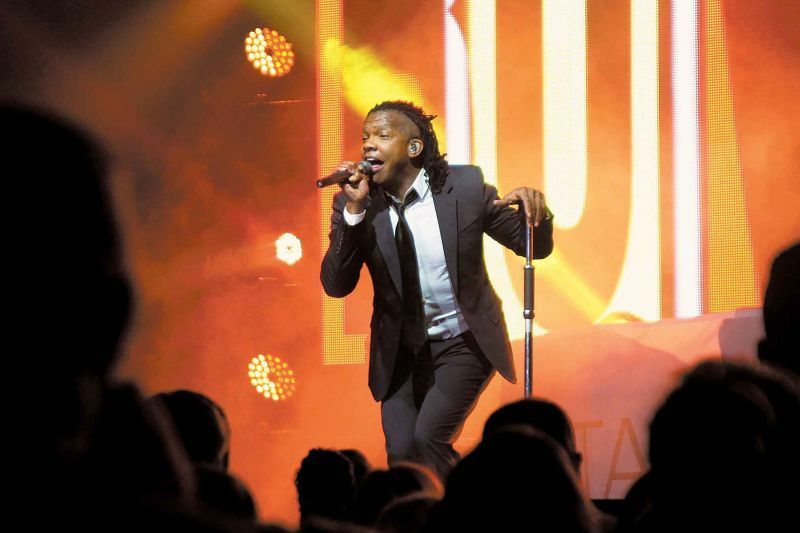 Michael Tait has been at the forefront of Christian music for over 25 years. Whether it’s been with the Newsboys or dc Talk, Tait has brought an undeniable energy to CCM music. We recently spoke about the influence of his parents, his time in both bands, and his reaction to the controversial comments of former Newsboy George Perdikis. Gabe: First off, congratulations on God’s Not Dead going gold. Is that the first gold record you’ve had with the Newsboys? Michael: Yes, with Newsboys, it is our first together. In today’s market, it has become increasingly difficult to sell a half-million records or more because of the advances in digital downloads and streaming, so anytime you are blessed to reach that plateau, it is especially exciting! To have a gold record truly says a lot about the affect and the intensity that God’s Not Dead has had on the public and on our industry. Gabe: So would you say you’ve settled in with the Newsboys? I know it’s been about 5 or 6 years since you’ve joined. Michael: Yeah… 6 years is about 600 shows… Actually even more like 700 or 800 shows. We are definitely settled in. I like to think of us as a band of brothers. 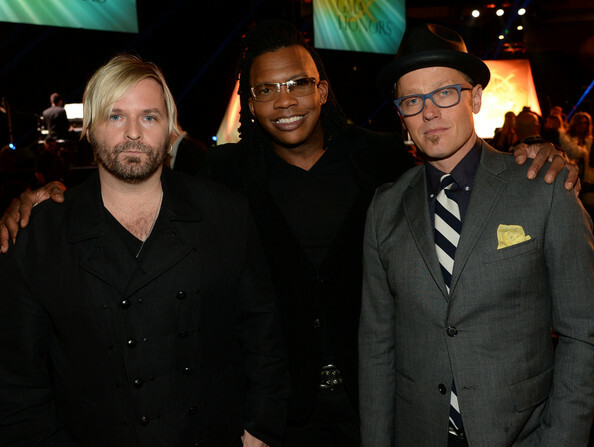 Gabe: Would you say there are things you appreciate more now with the Newsboys than you did with dc Talk? Michael: Well, while my time with Toby and Kevin was very special in my life, being blessed to be the only lead singer brings another level of enjoyment and purpose. I definitely feel more of a responsibility, but it’s also more rewarding because I get to help cast vision and provide leadership, in partnership with our management team, all trying to follow God’s guidance! It’s a huge honor because I’ve gotten to do this twice. How lucky could a guy be? First DC Talk and now the Newsboys. Both have had pretty amazing success, and with the Newsboys, as I so often say, we’re just getting started. So I’m pretty stoked that I’m still getting to do this at this point in my life. I’m honored and blessed. Gabe: One of the biggest stories of the last month has been Newsboys founder George Perdikis coming out and saying he’s now an atheist. What’s been the band’s reaction to that? Michael: Well, it’s interesting you mention this. It’s my understanding that George was part of the original band that first came to America, and performed a handful of shows here, but honestly, it was so long ago, that none of us today (and my brothers have all been together for nearly 20 years now) actually ever played with him. I think maybe Duncan has met him before, but personally, I never have. Gabe: You’ve always been really adamant about how special your parents are to you. You grew up in a 2 parent home, which can be rare in and of itself. Obviously they influenced you. How did they influence you growing up especially hearing about how they went through the civil rights movement? Michael: Mom and dad were great, Godly people. They weren’t perfect. We’re all flawed. But they were forgiven and now they’re both in heaven. But having Mom and Dad in my life… Parents that were together was a big deal for an inner city black kid. Let alone, parents that were together that were believers. That’s a miracle. My dad grew up in the south. Mom kind of did too I guess but Dad was from Mobile, Alabama. His grandfather…my great-grandfather was killed by the KKK. Crazy stuff happened. My dad had to make a decision when he became an adult: “I can teach my kids to love or hate.” And thank God he chose love because love conquers all. Love casts out all fear. And because of their great example, including 55 faithful years of marriage, that foundation is still something I will stand upon as I go forward. Gabe: So when you hear a name like Martin Luther King or a name like Rosa Parks, what comes to mind? Michael: Struggle. Determination. Oppression. Victory. Freedom. Consistency… All these things. Leaders, a lot of times, won’t make any hard decisions… But when a breakthrough happens and everyone gets on board, it’s always: “Look at what we did, look at what we did.” But, I coined this phrase: “When leaders win, everybody wins. When leaders lose, they lose alone.” But it’s worth the fight. And those are two great examples of humans that withstood amazing oppression on every level and succeeded. And now we all benefit from it. Michael: Yeah, yeah, I hear what you are saying. They’re not really CCM pop, but they are all definitely important to CCM music, that is Contemporary Christian Music. Gabe: Yeah! You’ve been pretty much the only guy. Do you ever feel the weight of that? Do you feel the importance of that? Michael: You know, I’ve wondered about that question my whole life. And it’s a great question, Gabe. Actually, the band teases me about it sometimes. They say, “Tait, you’re the black Bono or the black Mick Jagger..” And I don’t do the All-American, stereotypical, African-American moves as far as dancing goes. I kind of do my own thing and have my own style.. I’ve always said I have twisted roots because my mother was part Native American and African American and then my dad was African American. So I definitely have a platform that I’m well aware of…Even as an African American singing to people of all races. I think that’s what’s great about being in a band like the Newsboys. We’re like living integration just like dc Talk was. But people see us get together on stage, white and black. It does feel special. I don’t mean this in a conceited way but I kinda like being that guy. I would love for more African Americans to come along and desire to do CCM on a pop level. But for the most part, you’re right. That day remains to be seen. Gabe: How important have songs like Walls, Colored People, and What Have We Become meant to you in your career? Michael: Oh man, it’s exactly how I feel inside about how I want people to see the world and how they see each other. To see each other more than just at an epidermis level, and more based on the heart. To give people a shot not based on their skin color but just because the fact that their human. God made everybody equal. Colors don’t hate, people do. So it has been big for me to sing these songs all on the same stage with my Caucasian brothers. Having one voice of freedom, love, acceptance, and forgiveness…That’s powerful. Gabe: Now, we mentioned Colored People. That’s on the Jesus Freak record. That record turns 20 years old this year…Albums have come and gone but you still get asked about that record in almost every interview that you do. Why is it still so relevant today? Michael: You know, we were blessed Gabe. It’s one of those records that every artist wants to make, and if you didn’t you wished to make it. But we were definitely blessed. You could probably answer that question better than I could about it’s impact on people’s lives. It crazy…Two generations have now enjoyed Jesus Freak and Colored People and In the Light.. Strong strong strong songs from the past that have stood the test of time. That’s very rare. Gabe: So you guys are planning on doing something special for the 20th anniversary right? Michael: Who knows…I’m sure all of your media buddies would love that, right? (laughs) I can’t promise anything right now. Michael: Wow! Newsboys are keeping it alive too. Gabe: For sure, God’s Not Dead was up there too. Gabe: You definitely have had some staying power! Thanks for your time Mike. Make sure you follow the Newsboys and Michael Tait on Twitter: @Newsboys and @MichaelTait7. 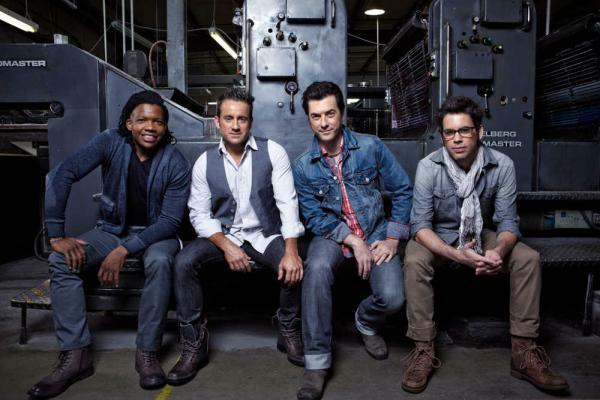 And visit Newsboys.com to find out when the band is coming to a town near you! This entry was posted in art, Christianity, Music, worship and tagged african american, air 1, CCM, civil rights, dc talk, george perdikis, gods not dead, jesus freak, kevin max, martin luther king, michael tait, newsboys, rosa parks, tobymac. Bookmark the permalink. Great interview with Michael, keep up the Christian chat! Great interview! Been a fan of NBs since the beginning. Tait is so perfect for the band! It was a hard transition for me, but worthwhile! On a nit-picking item, I wish you wouldn’t have advertised the interview as Tait responding to the Perdekis thing…. cause he didn’t. He side-stepped it. It’s the only thing that frustrates a lifelong NB fan like me. They’ve done really good forgetting their roots, pretending they don’t have a past. I realize this is a marketing thing to keep it fresh and focused in the present, but it would be nice to delve into it once in a while. It is evident in how they present themselves as Newsboys 2.0. From your other article on the Newsboys history, you know very well this isn’t Newsboys 2.0, this is Newsboys 3.0 (John James, Peter Furler, Michael Tait). I guess I was just thinking it would have been real nice for the “God’s Not Dead” singer to respond to Perdekis. Oh well… I’m a lifelong fan no matter what! I think Michael Tait just took the high road and basically said, without saying, that Perdekis is not part of what is going on now and his comments really don’t matter or impact what we are doing. What a great interview! I listen to “In The Light” almost every day. The songs on that album will always be relevant. My family and I are so excited about seeing you guys this weekend! My two sons Riley 9 and Peyton 7 are your biggest fans. Riley sings your songs out loud to his friends in the neighborhood. They are not believers and tell him to be quiet sometimes, but he tells them God’s not dead He’s surely alive. :) Anyways, just wanted to let you guys know that your music is inspirational and touches even young hearts. Will be praying for you guys God Bless You. Hello men of God , I would say that I like the songs you guys sing , I am the international church of grace here from Brazil , I am very excited with the possible arrival of the band to Brazil so we can worship God together with you will be a pleasure , stay with God and that he will continue to bless greatly . Amei amei muito bela historia!